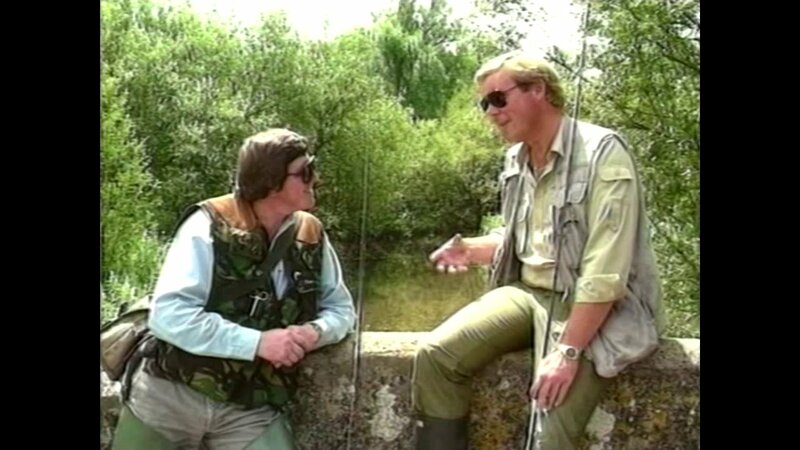 Angling classics – Andy Nicholsan and James Waltham catch Grayling on the Morning Star fly. The Game Fly DVD: The combined talent of angling journalists and friends Andy Nicholson and James Waltham offers the fly-fisherman a game angling cornucopia. James applies himself to the task of creating new patterns in fly-tying and shows step by step how you can tie them for yourself. 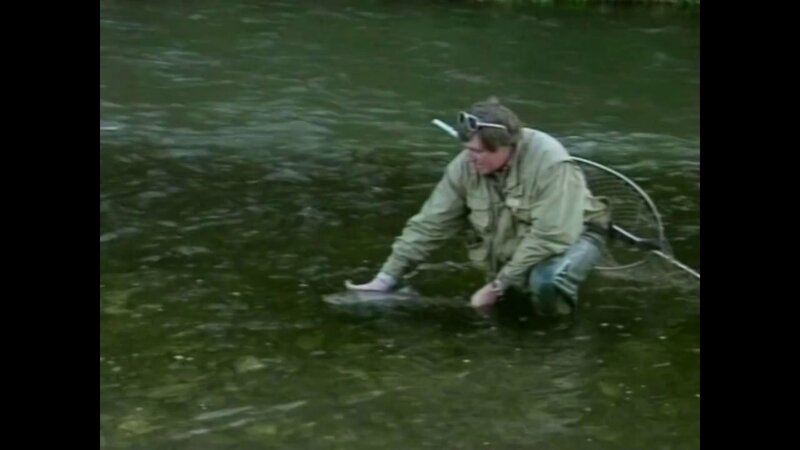 *Andy travels the length and breadth of the country to test out the flies accompanied by various fishing companions including Ray Baker, who takes Andy to the rainbow trout of Packington and Chris Ogbourne, who charms the wild brownies out of a chalk stream. Stunning photography both above and below the water’s surface. 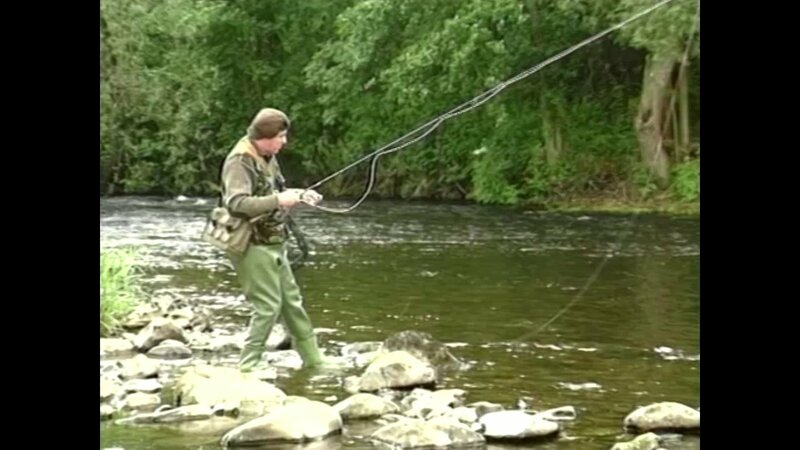 Fishing expert Hugh Falkus looks the first stage of spey casting, making a roll cast. Falkus on fly casting DVD: The Falkus approach to flycasting is unusual. Most anglers consider Spey casting as something to be used only in certain conditions or, more usually, as too difficult to learn easily. Hugh maintained that this is nonsense and that Spey casting had a ‘bad press’. It should be used normally, in place of the overhead cast; for single handed trout rods as well as for salmon and, indeed, for boat fishing as well – and he demonstrates in detail how safe, how simple to learn, and how easy on the angler Spey casting can be. 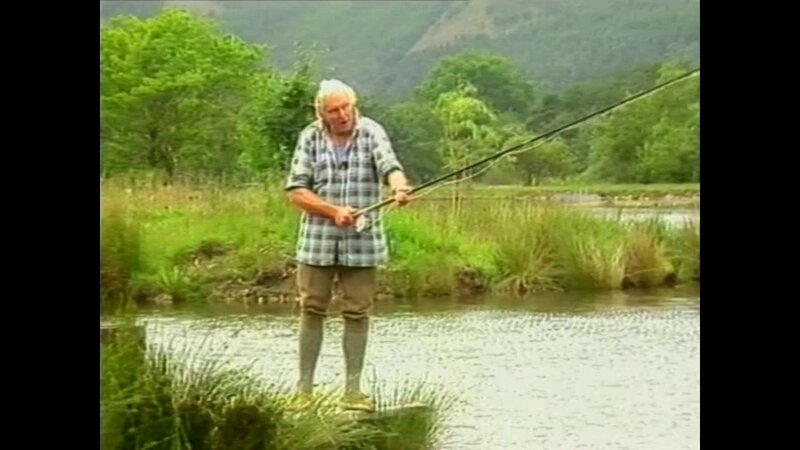 *The effectiveness of his teaching technique can be judged by the fact that the producer of this programme – who had previously avoided the Spey Cast for the reasons above – now uses it regularly as a result of watching the master at work. Angling classics – Andy Nicholson catches sea trout in Wales on the river beautiful Dovey. The Enigmatic Sea Trout DVD: The seat trout has a reputation as a fickle and mysterious quarry. Its acute vision and sensitivity to the least disturbance calls for a completely different approach from the angler. *Filmed exclusively on the beautiful and prolific River Dovey, Andy Nicholson shares his tips and varied techniques on how to catch this handsome fish in all water conditions. The highlight is the powerful night fishing sequence. The Enigmatic Sea Trout also brings attention to man’s efforts to ensure the sea trout’s very survival. 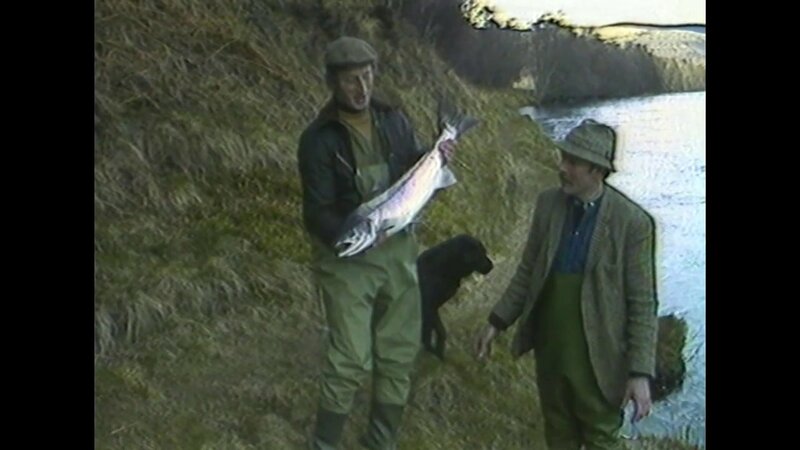 Angling classics – John Andrew explains the art of spey casting and lands a spring Salmon. 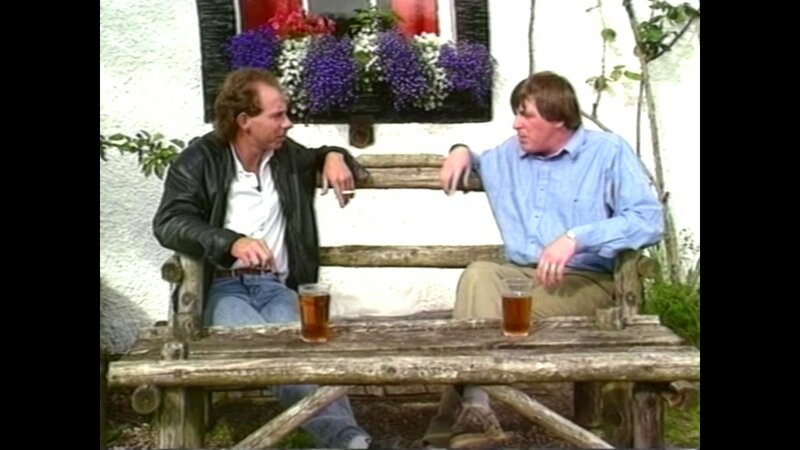 The Gamefisher’s Year DVD: John Andrew’s classic video has been digitally re-mastered onto DVD. 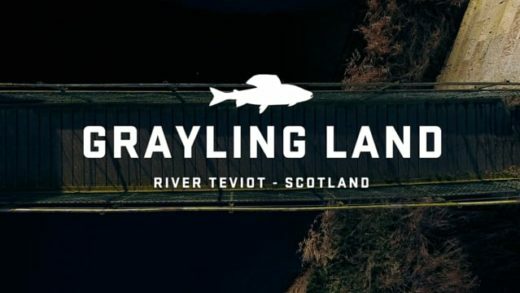 He is known as a ‘fisher for all seasons’, and in this 2-hour programme he covers the complete spectrum of game fishing in Scottish waters – from harling on the River Tay in January, to battling sea trout in July in the Hebrides and Autumn ‘greybacks’ on the Earn in october. *The Gamefisher’s Year is packed full of practical information and useful hints about the different techniques used on the waters covered in this programme. This ‘visual diary of gamefishing’ is a superb way of gathering all the necessary information to become a gamefishing expert yourself. 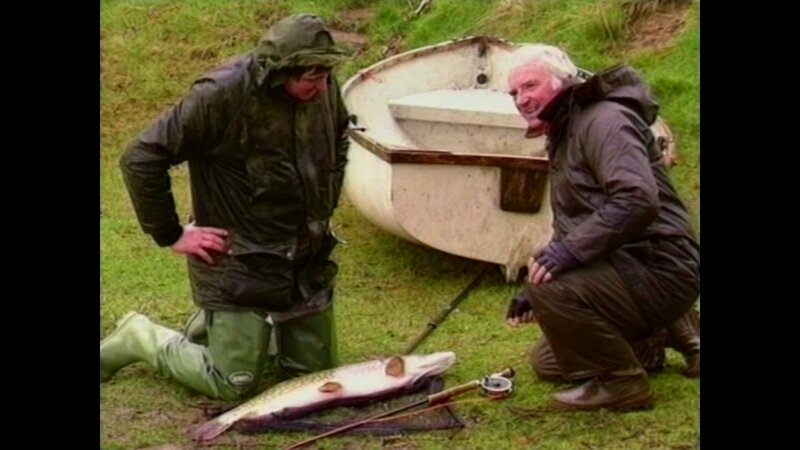 Angling classics – Boat fishing for Salmon on a lake with Andy Nicholson and Steve Sloan. 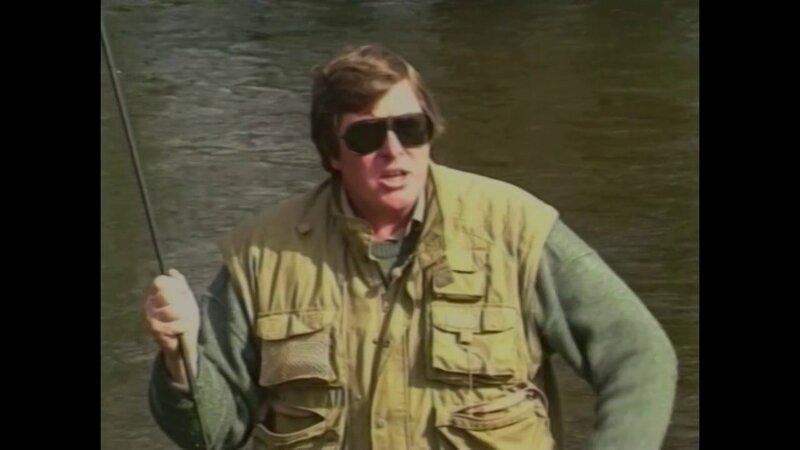 The Occasional Salmon DVD: Andy Nicholson’s lifelong passion for fishing is captured in this riveting search for salmon. Filmed on location in beautiful Cumberland and the idyllic Welsh Marshes, The Occasional Salmon is packed with information, tips for success and breathtaking action as fish after fish is hooked and landed. *Ordinary fishermen who have achieved extrordinary success in all weathers and conditions reveal their angling secrets. The breadth of experience shared in this DVD makes it the definitive study on the capture of the King of all fish. The practical guide to game fishing DVD: Acclaimed angler and journalist Andy Nicholson presents a comprehensive guide to everything the game fisherman needs to know. With contagious passion for his craft, topics Andy covers include: shrimp & worm bait, the difference between salmon & sea trout, spin & spoon fishing, Flytying, fishing for brownies and more… *For both newcomers to game angling and established game anglers who want to improve their expertise, this DVD will be an invaluable asset.